The joys of being a mom; remember that stage where they are in everything!..I had 4 boys. I really admire that you are tacklig home made pizza; looks terrific. I haven't done that in quite a while. Have fun with your little one; they do grow so fast. Interesting 'green' base; must try it out this weekend! Thanks for sharing. Pizza looks wholesome and delicious. pizza is my fav,and now even i ahve started baking the crust at home,..
pizza is welcome anytime ...and with nuts as a topping it's wonderful.. I love pizza very much. Thanks for this lovely recipe. I have never prepared at home but going to try your recipe definitely. 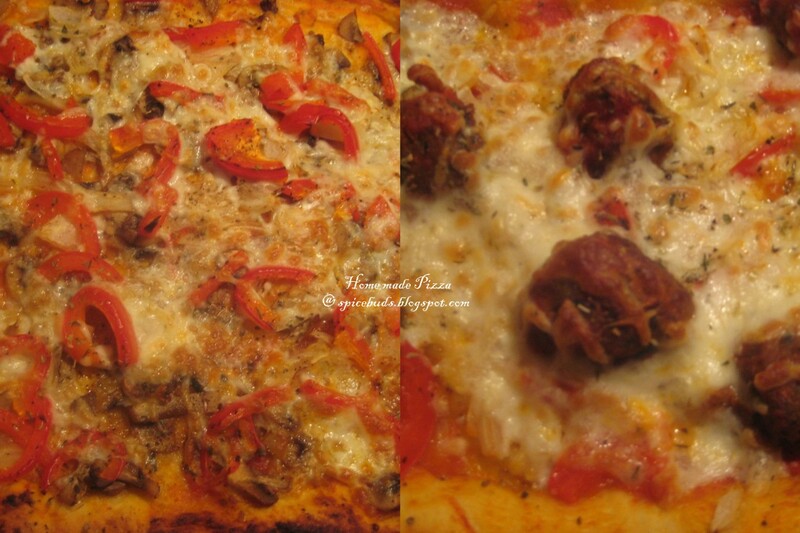 You made pizza so nicely that it looks delicious and spicy and I cannot resist myself. Spice, I am talking in reference to your comment. You can send that one too. It helps if you remember the name of the magazine. delicious!! makes me want to eat a slice right now! Finally back! 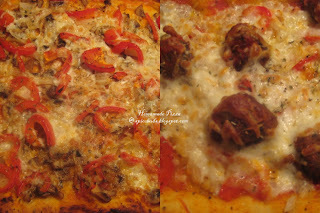 Great recipe and wonderful pizza! Wow ! I can have this anytime....And like you I also keep on experimenting with different toppings :-) . @ Sangeeta and Ashkuku Thanks. @ Babli, thanks for the lovely compliment...sure & go ahead give it a try, u gonna love it & do let me know your view about it once u try it...about spices, as an Indian be it a chicken curry or pizza got to have lots of spices.....right. @ Aparna, TasteofBeirut, Malar and Divya, Thanks. yummy...delicious...been a while, i see your post..howz you doing ? I remember those days! I was in a daze most of the time! Patience. Your pizza looks and tastes great, love these chili flakes especially! Love pizzas and do a lot of them at home. Almost similar to ur base, except for the corn meal. Pizza looks great. Would love to bite into some ;) Also loved ur previous post on the cake. Damn good! Wow, that's a delectable pizza. I will try this weekend, and am going to delight my kids. thanks for sharing dear. do drop in at my blog sometime. 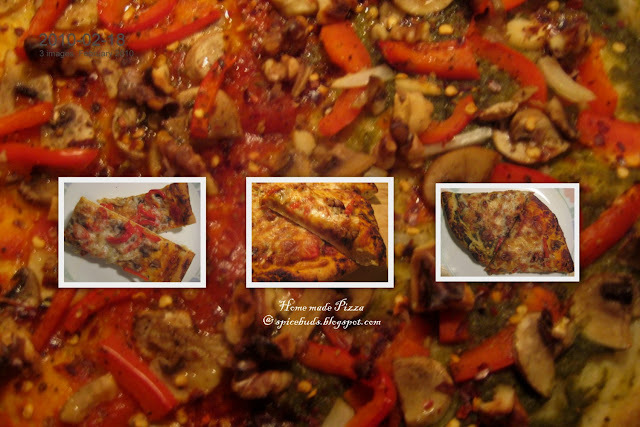 pizza from stratch looks wonderful....wanna hv a bite..nice clicks..